Staying real on a winter's day. I’m a summer girl at heart because I live and breathe the ambience of vivid palm leaves, the effortless getup of silky dress slips, and the indulgent, warm nights on the patio. But the romance in nature’s golden palette as the season turns to fall and winter easily contends summer for the most breathtaking backdrop. Wintry sunshine is just as beautiful as in the months’ preceding and it just takes an extra layer or two to enjoy the sun as usual. Since I work from home, loungewear is my daily ensemble (and sometimes only ensemble) and I love Aerie for their cute loungewear that is always super comfortable and of amazing quality. On any given day, you can find me working away at the computer while wearing the Lace Longline Bralette with soft pants like the Utility Pant made of silky tencel. When it comes to golden hour just before sunset, I take a break to go outside and recharge. 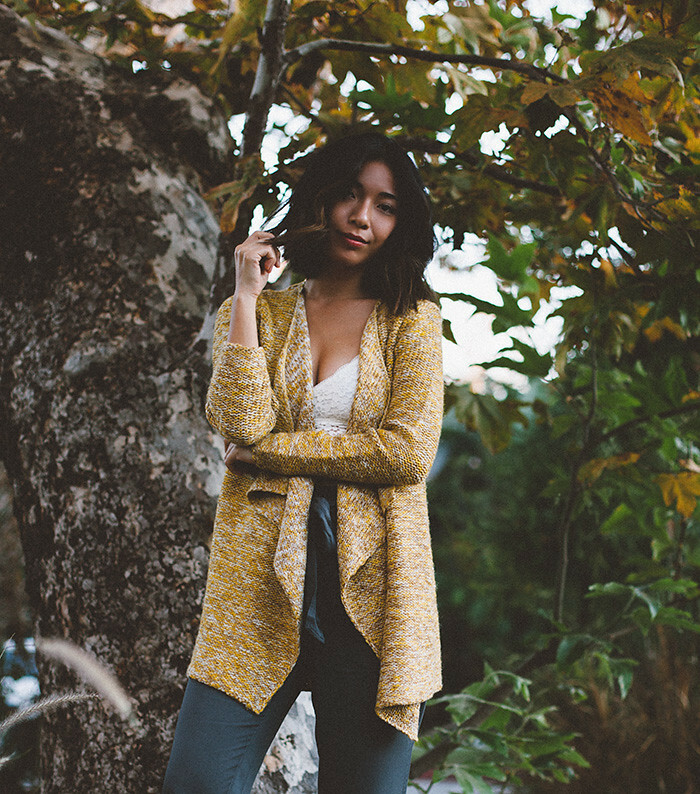 I throw on my cozy yellow Whipstitch Cardi and I grab my tumbler full of hot tea to enjoy the crisp breeze among the red and yellow leaves while I regain some mental clarity. That’s a part of the real me, as I’m inspired to tell by Aerie’s beautiful #AerieREAL campaign, which supports unretouched models in their ads and website. Their body-positive message in turn motivates us to love and embrace our real selves inside and out and personally, I feel comfortable in sharing my real self with you always. True beauty lies in celebrating how perfect our imperfections are, together. Love how simple and comfy this looks! Personality which suited for your style lovely outlook in this summer which people always like to wear this one. Beautiful look, so simple and easy for carrying dress. I like it.